Wendy (The Book Lush) who said, "The world's oldest Flower in the world was found in a fossil near Melbourne. It is called the Koonwarra plant, and it has two leaves and one flower. It is believed to be 120 million years old." Janicu who said, "Well. When I was growing up in Sri Lanka I used to remember people used to say that the population in itty bitty Sri Lanka was about the same size as the population of Australia. Just to say: there's a lot of land in Australia where people don't live." bridget3420 who said, "Australia has the world's tallest stack." A big thanks to everyone that participated as well as the generous folks at HarperCollins/EOS that provided the giveaways. Here is a list of all of the wonderful facts, trivia and tidbits about Australia researched and gathered by commenters over the course of the contest. I hope everyone had fun! Koalas are mean. I was shocked when I heard this. They look so cute and cuddly! Their national anthem is called Advance Australia Fair. First performed in 1878 and became the official anthem in 1984. Australia’s seasons are the opposite of those in the northern hemisphere. When it’s winter in Australia, it’s summer in the United States. The kangaroo and the emus are the two animals found on the Australian coat of arms. Australia's first radio station was built in 1912. Tasmania has the cleanest air in the world and its rainwater is so pure 5.5 tonnes of it was shipped to Seoul to quench the thirsts of Australia’s Olympic athletes. The NASA Deep Space Network has a deep-space communications facility near Canberra that communicates with NASA's spacecraft. 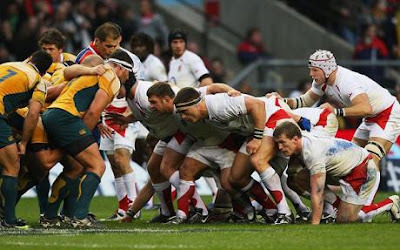 Approximately 24% Australians over the age of 15 regularly participate in organised sporting activities in Australia. Australia's largest annual outdoor sculpture exhibition is called Sculpture By The Sea. It started in 1996 at Bondi Beach (Sydney) and a companion event began in 2005 at Cottesloe Beach (Perth). Apparently, over 50 local, interstate and international artists participate in the exhibition every year. One fact about Australia is that the day of the Melbourne Cup (a horse race) is a public holiday in Melbourne. The world's oldest Flower in the world was found in a fossil near Melbourne. It is called the Koonwarra plant, and it has two leaves and one flower. It is believed to be 120 million years old. When I was growing up in Sri Lanka I used to remember people used to say that the population in itty bitty Sri Lanka was about the same size as the population of Australia. Just to say: there's a lot of land in Australia where people don't live. My daughter studied Australia last year and I remember her telling me that Australia was reportedly founded as a penal colony. Australia has six states (New South Wales, Queensland, South Australia, Tasmania, Victoria, and Western Australia) and two major mainland territories (the Northern Territory and the Australian Capital Territory). The Australian Aboriginal people developed three musical instruments - the didgeridoo, the bullroarer, and the gum-leaf. From watching Animal Planet, I know that Australia is home to some of the most venomous snakes in the world. There are over 700 different snakes in Australia. The name Australia is derived from the Latin Australis, meaning "Southern". I'm not entirely sure how accurate a fact this is, but I heard, from The Simpsons!, that the toilet flushes the opposite direction there! Also Australia hosted the 2000 Olympics, if I remember correctly! Australia has a "flying doctor" service, which provides emergency medical care to people who live in the "outback". Without such a service many isolated people would die. Over 80 percent of plants and over 45 percent of birds in Australia are found ONLY in Australia-no where else. 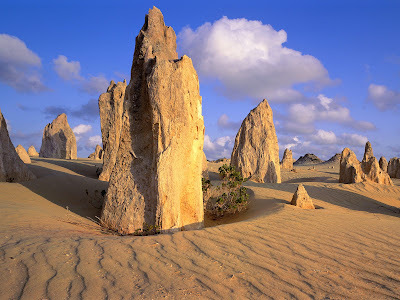 Almost the entire inner region of Australia is desert and arid land. 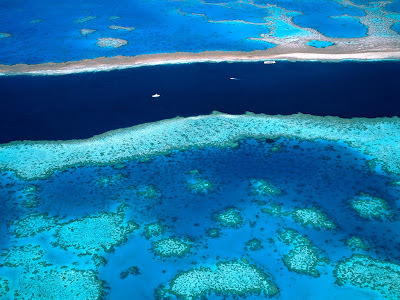 The great Barrier Reef is there, as well as the ROCK, that humongus, giant rock. My factoid would be that Australia is the only nation to govern an entire continent and while it is the sixth largest nation, it is the smallest, flattest continent on Earth. My husband was lucky enough to work over in Australia a number of years ago. Learned (not the hard way thankfully) that their funnel spiders were very poisonous. Australia has the world's tallest stack. Melbourne was the original capital and also hosted the 1956 Olympics. 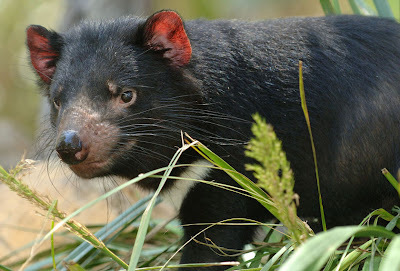 The Tasmanian Devil is sadly becoming extinct due to a weird cancer that is spreading between them. Hope they find out what and why so they can save them in time. Aboriginal settlers arrived on the continent from Southeast Asia about 40,000 years before the first Europeans began exploration in the 17th century. Due to the fact that Australia is on the southern hemisphere, at the other end of the Earth's tilted axis, its seasons are reversed from what we in the northern hemisphere think of as normal. For example, December is actually a summer month there and August is in winter. Australia is also the home of Hugh Jackman! Mount Kosciuszko the highest point is only 2228 meters high. As a Rocky mountain boy, I was surprised by that. The University of Western Australia, which was founded in 1911, is renowned as one of Australia's leading research institutions. The university's monumental neo-classical architecture, most of which is carved from white limestone, is a notable tourist destination in the city. It is the only university in the state to be a member of the Group of Eight, as well as the Sandstone universities. There are four types of Boomerang -the "hook", the "hunter", "the club", "the V". The only one that will return when thrown is The Hunter. I did a little research and I learned that Australia is the driest inhabited continent on earth. Its interior has one of the lowest rainfalls in the world. Australians don't think Fosters is codeword for beer. My friends had never even heard of Fosters until they arrived in the States. Nevil Shute wrote a book called "A Town Like Alice". It tells the story of Jean Paget; as a prisoner of war in Malaya during World War II and then her return to Malaya after the war where she discovers something that leads her on the search for romance and to a small outback community in Australia where she sets out to turn it into 'a town like Alice'. What I loved about the book is that they called baby lambs "poddies." The cartoon Tasmanian Devil doesn't look like the real one at all! 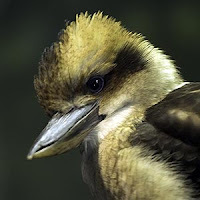 Australia is home to the kookaburra, which is also found in New Guinea. I loved that song--kookaburra sits on the old gum tree...--when I was a kid, sang it for hours! Okay, I know for a fact that the Australian rock with the wines. YUM! I read recently that Australia is soon to be the home to the world's longest golf course...stretching all along the Eyre highway near the southern coast of the continent. The course is expected to take three or four days to play! If you visit Gundagai (New South Wales), you can see the Dog On The Tuckerbox statue. And if you go the third week in November, you can attend the Dog On The Tuckerbox Festival. Congrats to the winners! Fun facts! Okay, these are some very entertaining facts. What a great idea for a contest. So, Christmas is actually not December 25 there? 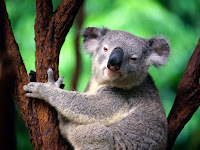 I still can't believe koalas are mean, I mean, they look so cute! Sure, beauty is not directly proportion to personality but still! Carolyn, Christmas is indeed on December 25th down here. But it's during summer, instead of winter. Right now in September, we're a week into spring. It's interesting to read what others think about my island home! 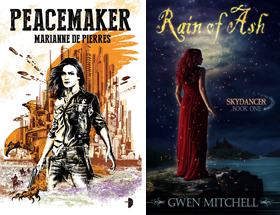 Congrats winners and happy reading!! Wow, I don't think I seen so much information about one place before anywhere ever!! Tez is right, Batmania does have a cool ring to it. This is the funnest contest I've ever entered. It's also great that you listed the facts that we came up with. Congratulations to all 3 winners. I really hope you enjoy it. This has been one of the best contests I've seen and WOW look at all those facts. Doug - you are Awesome. Tez - I knew I loved Melbourne. And another fact is that the City of Melbourne and the City of Sydney have a FEIRCE rivally over which is the best City. I'm in the Melbourne camp - so love that city. :o) That is not ot say Sydney doesn't have it's charms - they are just very different. Tez Batmania LOL. I love it. Tracey it's been fun and I am glad everyone else thought so too. Australia is one of those places that I think everyone has on their list of must see some day destinations. Holy cow! I'm having super good voodoo this week. Thank you so much! :) I'm going to send you an email. I'm also loving these facts on Australia!